اتفق قادة العالم على 17 هدفاً في أجندة 2030، تجسّد نهجاً متكاملاً للتنمية. وتضمنت الأهداف تعهدات قوية ومحددة، مصممة لصون كرامة الإنسان وتحسين نوعية الحياة، مع حماية البيئة وتأمين النمو الاقتصادي المستدام. أما اتفاقية باريس، فنصت للمرة الأولى على أهداف محددة لخفض انبعاثات الكربون التي تساهم في تغير المناخ، بما في ذلك التحول إلى الطاقة المتجددة وكفاءة استخدام الطاقة وتعديل أنماط الاستهلاك. وحددت الاتفاقية مواعيد لمراجعة التقدم في التنفيذ، وصولاً إلى سنة 2050. وعلى الرغم من أن لاتفاقية المناخ آليات تمويل خاصة بها، فإن التنفيذ غالباً ما يتشابك مع أهداف التنمية المستدامة. ويمثل التغيّر المناخي تهديداً كبيراً للبلدان العربية، التي تقع في منطقة هي من الأكثر تأثّراً بنتائجه، يتجلى على وجه الخصوص في ارتفاع مستويات البحار وندرة المياه العذبة، وانعكاسات هذه على الإنتاج الغذائي. كما أن للعرب مصلحة في تحقيق أهداف التنمية المستدامة، خاصة تلك التي تساعد في مواجهة التحديات المترابطة بين المياه والطاقة والغذاء، إلى جانب تحديات التنمية الاجتماعية والبشرية عامة. AFED (2018). Financing Sustainable Development in Arab Countries. Annual Report of Arab Forum for Environment and Development, 2018; Saab, N., Sadik, A.K., (Ed. ); Beirut, Lebanon. Financing Sustainable Development in Arab Countries is the eleventh in the series of annual reports produced by the Arab Forum for Environment and Development (AFED). It identifies financing needs, gaps, options and mechanisms, while focusing on potential financing sources and addressing enhancement of their roles. Since 2008, AFED annual reports on the state of Arab environment have highlighted environmental challenges and recommended solutions. One main challenge underlined in all reports was how to finance the recommended changes. 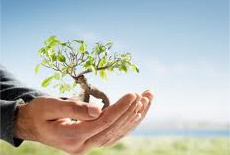 AFED’s 2011 report on Green Economy in a Changing Arab World introduced the concept at the regional level. However, the endorsement of the Sustainable Development Goals (SDGs) in 2015, combined with the provisions of the Paris climate agreement which followed in the same year, demand a new perspective to identify the requirements of financing sustainable development. AFED’s first annual report in 2008, entitled Arab Environment: Future Challenges, became a major reference in its field and was the launching pad for the reports which followed, covering nine topics: Climate Change (2009), Water (2010), Green Economy (2011), Ecological Footprint (2012), Sustainable Energy (2013), Food Security (2014), Sustainable Consumption (2015), Sustainable Development in a Changing Arab Climate (2016) and Arab Environment in 10 Years (2017). The current report found that Arab countries would need a minimum of USD 230 billion annually to support the achievement of the SDGs. The financing gap in Arab countries with deficit has been estimated at over USD 100 billion, comprising a cumulative total of over USD 1.5 trillion through 2030. This does not only call for new funding requirements but also the greening of budgets and the redirecting of existing budgetary allocations from conventional investments to sustainable ones, including addressing climate change concerns. However, the report warns that the price tag is expected to rise much more, taking into account the losses in economic activity due to wars and conflicts in the region since 2011, and the implications of ongoing instability across the region on the implementation of sustainable development goals. Arab countries need to develop their financing strategies and action plans to support the implementation of the 2030 Agenda. Apart from securing additional financial resources, the focus should be on the mobilization and the redirection of existing local financial outlays, both public and private, towards supporting sustainable development programs, plans, and activities, which should be executed in a more efficient manner. Corruption should be eradicated, coherent policies enacted, and investor-friendly conditions established. It does not make any economic sense to maintain conventional investment options while at the same time aiming to channel funds to support new and innovative environment-friendly sustainable development path.